Uuuuffff. This one was tough, and took a loooong time. 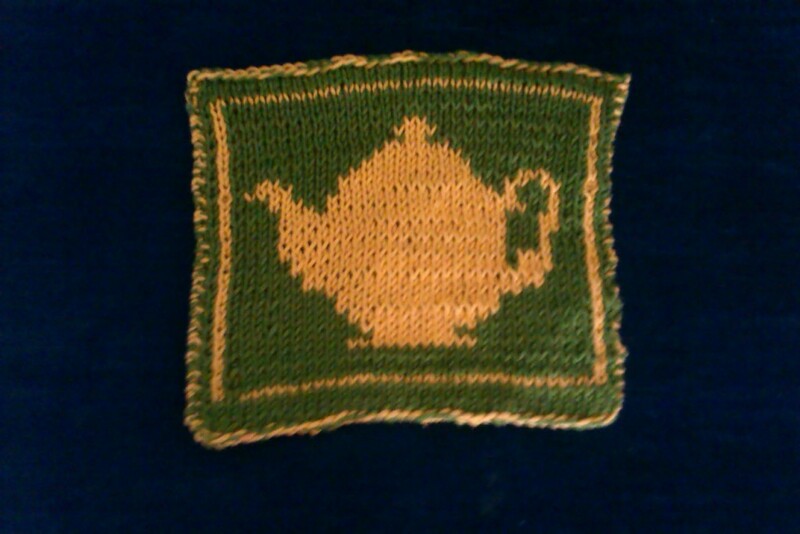 I used Coffee and Tea Potholders pattern – and the pattern was great. But oh, boy! I hate this technique. It takes a long time and a lot of finger twisting. I felt like I was taking part in some sort of finger gymnastics marathon. The outcome is cute, but I don’t see myself making a scarf or what not. The outcome of double-sided stockinette that doesn’t curl isn’t worth the effort for me. I used both strands together for the long tale cast on and knitted the first and the last stitch of every row with both strands, too. I tried holding both colors in left hand, over the index and middle fingers, but found it hard to change the colours that way. So I used both hands, with the major colour of the row in the right hand. To bind off I slipped each colour stitch knitwise on the right needle, then put both of them back on the left on, knitted them together with both strands and bound off. 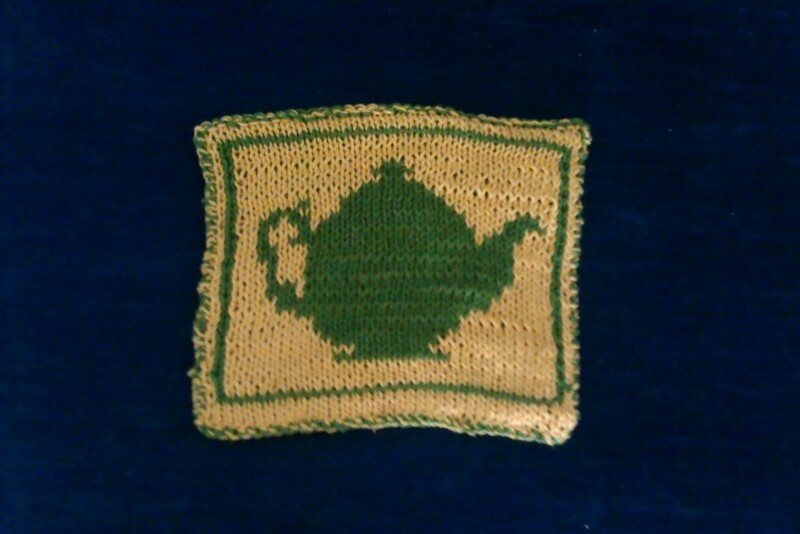 Separator image Posted in My kniting & crochet and tagged with double knitting, ravellenic games, trying new stuff.